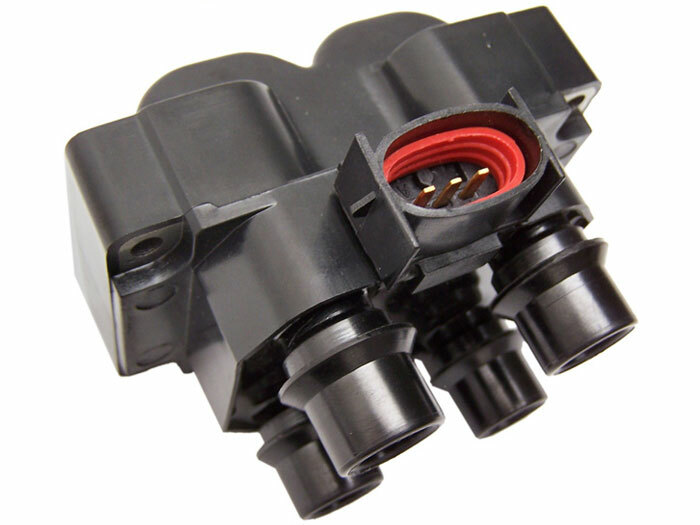 Why SMPE Ignition Coils ? SMP Europe's coil-on-plug assemblies are engineered and tested to meet or exceed OE standards for spark energy, impedance, and durability. The core has an internal neodymium permanent magnet surrounded by grain-oriented magnetic laminated steel for maximum voltage output at all speeds. The primary winding has a 200°C insulated coating over a premium 25 gauge copper wire, allowing low voltage to generate a strong magnetic field. A high temperature insulation coating prevents shorts between the windings under extreme operating conditions. The bobbin is made from fibre reinforced polyphenylene oxide glass material which has outstanding dielectric properties to keep the voltage directed along the correct path providing long life under extreme high-voltage conditions. The high impact case is tough and durable with excellent thermal qualities and the high temperature spark plug boot contains a conductive stainless steel spring with radio static noise suppressor both are built for long life in all operating conditions. The ignition coil converts a low voltage current to high voltage energy that is delivered to the spark plug to ignite the air fuel mixture within the cylinder. A coil-on-plug is designed to perform the functions of both the ignition coil which creates the spark energy, and the spark plug wire set that is designed to contain and deliver the high voltage energy to the spark plug. SMPE's ignition coils are available in the Intermotor, Fuel Parts, Lemark and Kerr Nelson brands.